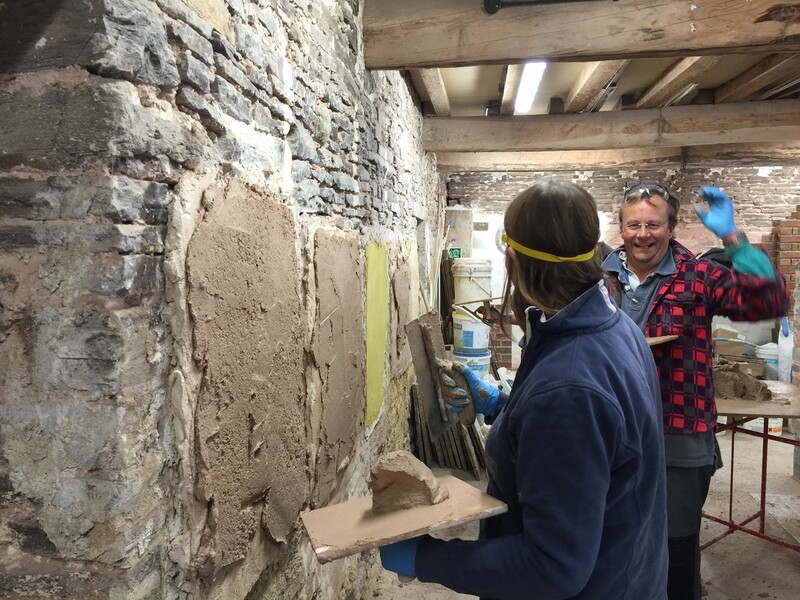 This 2 day course covers the same ground as the one day Introduction to Lime course and the one day Lime Plastering course but has a smaller group size and offers more flexibility. It has the added benefit of being able to return to your work the following day and seeing how the materials react over a longer period of time. Do you have a specific area of interest? *Do you have any special dietary requirements? *Do you have any disabilities that we should be aware of? Every effort has been made to ensure the accuracy of the colour and texture of products on this website but due to the limitations of technology, we strongly recommend that sample products are purchased for testing in situ prior to the full order being placed. 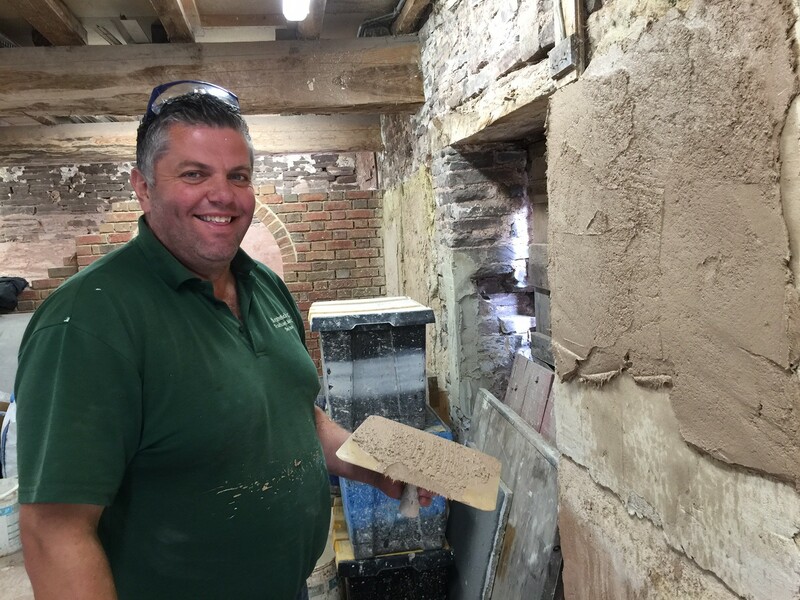 This two day course combines the one day introduction to Lime and one day Lime Plastering courses. 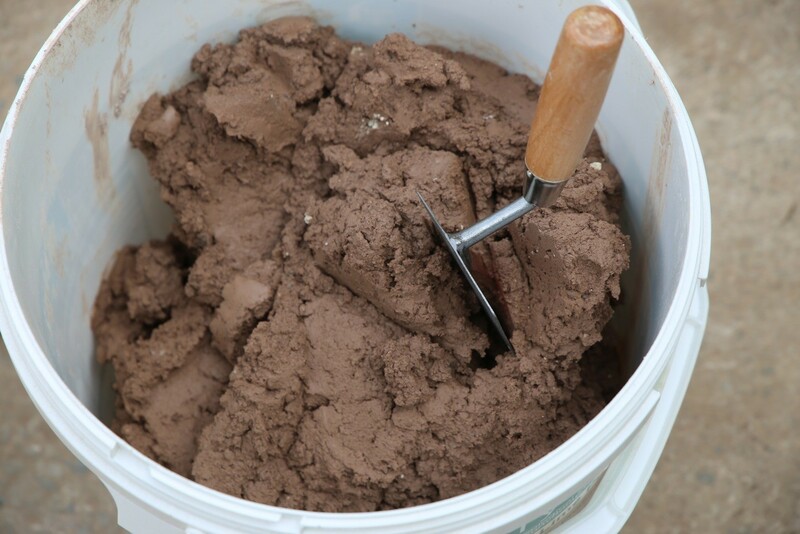 It looks at plastering in more detail and provides considerably more time for practical hands-on work. 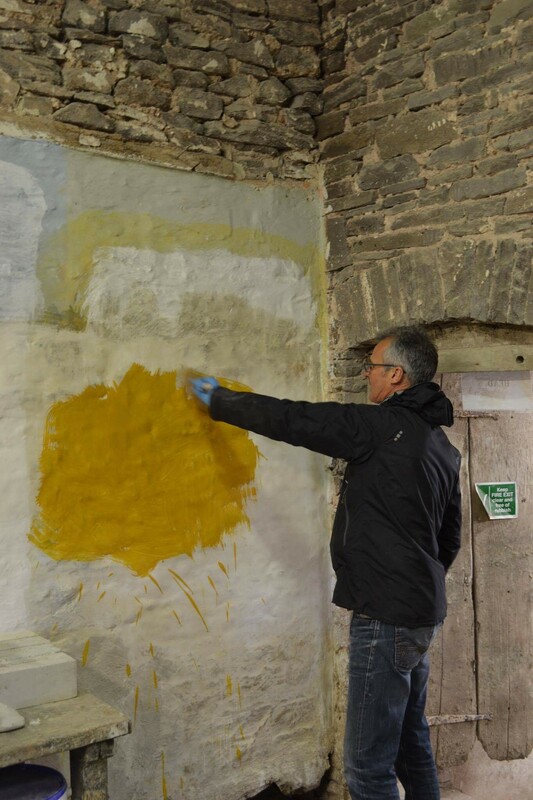 Suitability: It is suitable for anyone involved in the repair of old buildings or in the construction of ecological new-builds – contractors, homeowners and specifiers with a basic knowledge of lime and/or plastering. The day will start at 8:30am with tea/coffee introductions, for a prompt start to the course at 9am. A good home-cooked lunch and refreshments will be provided during the day and we aim to finish by 5pm. You should wear suitable work clothes. Tools and any protective clothing required will be supplied. There will be plenty of time to talk to tutors regarding individual projects or applications. We encourage you to bring photographs of projects and samples of plasters and mortars for discussion. The amount of time we can give will depend on numbers. 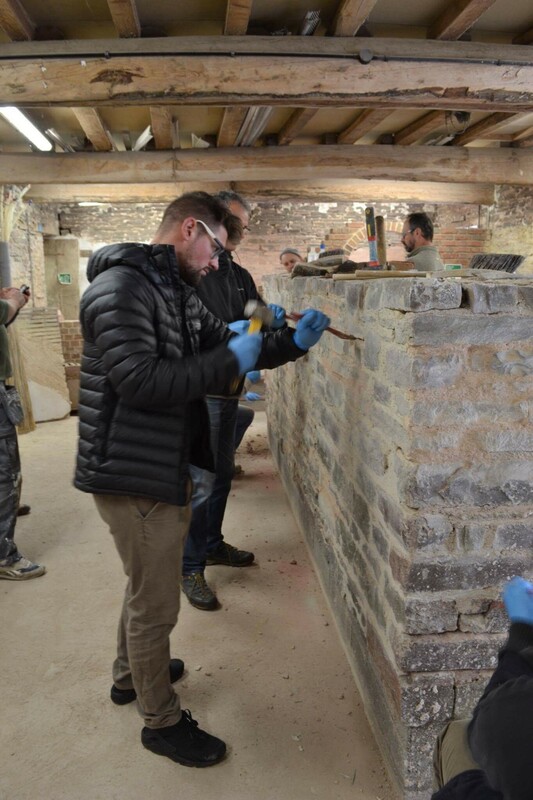 The course aims to raise awareness and understanding of lime based minerals, and promote confidence in their use, as well as a full understanding of how lime plaster works and an introduction to application procedures. We have people with a wide range of experience on the courses from homeowners with very little practical knowledge to tradesmen with many years’ experience. We’re obviously not going to turn you into a craftsmen if you haven’t already got the tool skills but you will get a feel for the materials, an understanding of how and where they should be used. These courses are very popular, if the course/date that you want says 'full' or you cannot see a date that suits you, please email training@lime.org.uk as we keep reserve lists and regularly put on extra courses to keep up with demand so let us know what you are interested in and when suits you so that we can try to accommodate you. Simple questions such as Location, Timings, What to bring etc are dealt with at the beginning, information on Quality, Accreditation and Feedback are provided towards the end of this section. How can I find the Training Centre? Click here for Directions to Ty Mawr Farm - postcode LD3 7PJ. What time does it start? The courses start at 9.30am prompt with tea / coffee / introductions at 9am. Will food be provided? Yes, we provide a good, home cooked lunch in the middle of the day and refreshments (tea / coffee / cakes) throughout the day just to keep you going. When you book you will be asked if you have any particular dietary requirements. What should I wear? You should wear suitable workclothes and footwear as there is a large practical element to the course. Protective equipment such as safety spectacles and gloves will be provided. Do I need to bring anything else? All tools and protective equipment are provided but some craftsmen like to bring their own tools. You may also want to bring samples of mortar / photos of your own projects if you want to discuss specific issues. How many people will be on the course? We usually have up to 16 people on Introduction to Lime courses but have a maximum ratio of 8 participants to 1 tutor. 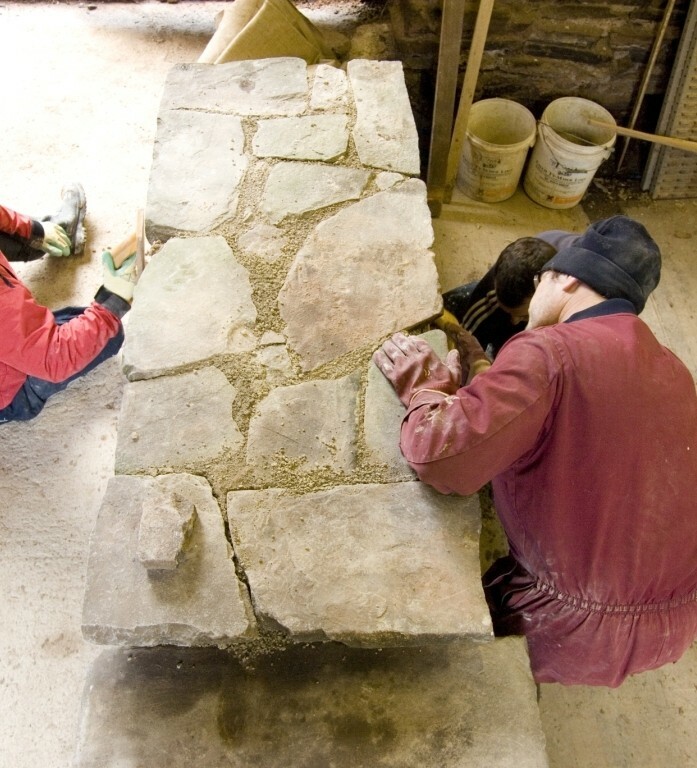 On each course there will be a stonemason (building and pointing tutor) and a plastering tutor as well as Ty Mawr staff. What experience do I need? We have people with a wide range of experience on these courses from homeowners with very little practical knowledge to tradesmen with many years of experience to architects. Over the years we've found that everyone, no matter what level they're starting from, found the course to be relevant to them. What will I have learnt by the end of the day? 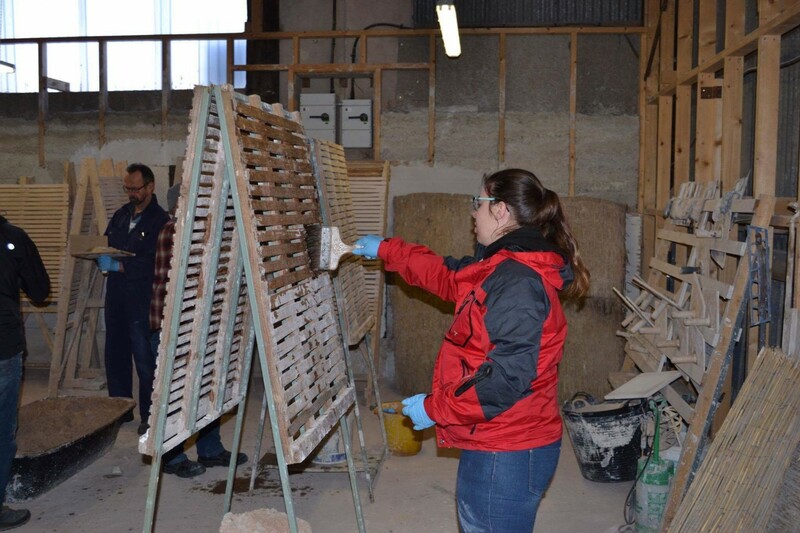 The course aims to raise awareness and understanding of lime based materials, and to promote confidence in their use. 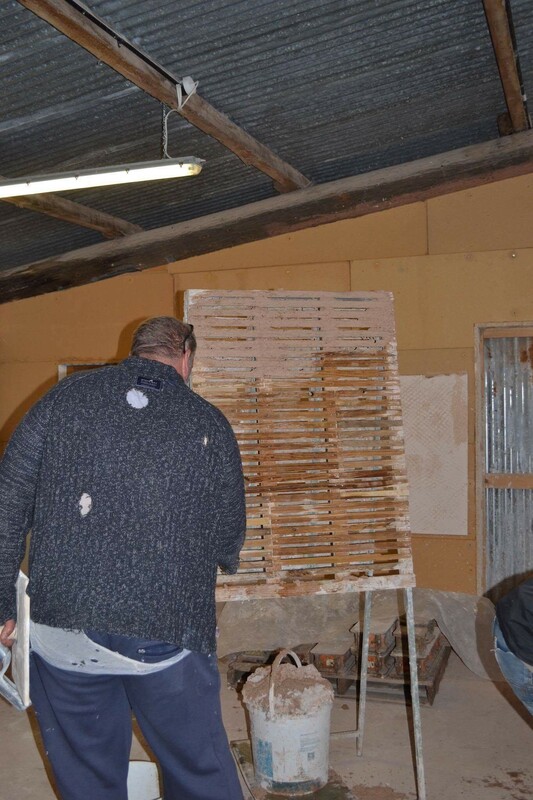 We're obviously not going to turn you into stonemason or plasterer if you haven't already got the tool skills, but you will get a feel for the materials, an understanding of how and where they should be used, and the confidence to start using them. Is any written information supplied to take away? Yes, as part of the course you will be given a copy of the recently revised 'Ty Mawr Lime Handbook', a 92-page practical guide that normally retails at £20. It covers types of lime and their applications as well as lists of useful tools, related organisations, product safety data sheets etc. Is the course accredited? The introductory talk at the start of the day has been accredited by the Royal Institute of British Architects (RIBA) as part of their Continuing Professional Development (CPD) programme. Will I get a certificate? The course is not assessed but we do provide an attendance certificate. Many architectural and building firms have sent staff on the course over the years and the content is widely recognised as being relevant to professionals, trades and homeowners. Is the course linked to the new Heritage Skills CSCS card? Not directly but a lot of the material is relevant and provides good, underpinning knowledge and understanding for elements of the NVQ in Heritage Skills. Why are the courses more expensive than some other providers? We know that our courses are more expensive than some other providers but we make no apologies for this as we feel that the content and quality are second to none. 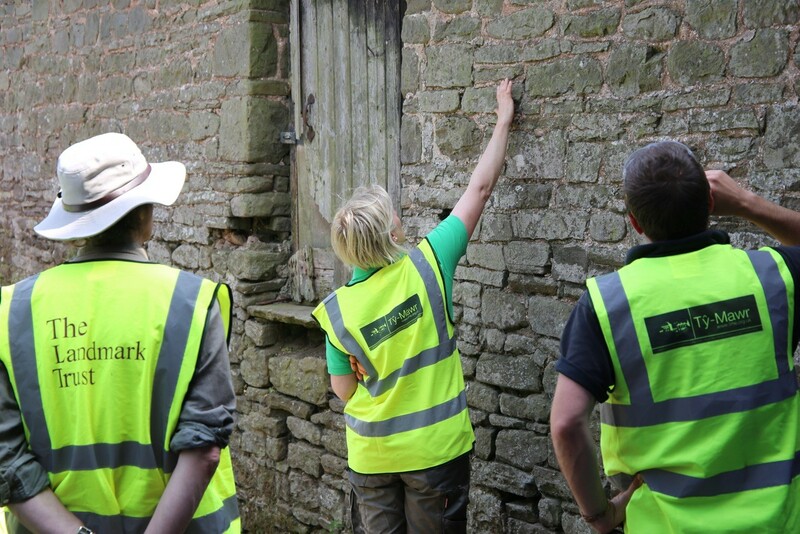 Many of the reasons for this have been given above such as the RIBA accreditation, the use of very experienced tutors drawn from across England and Wales, the provision of the Ty Mawr Lime Handbook (RRP £20), not to mention the location and the food! This is supported by the feedback received. As part of our ISO9001:2000 Quality Management Certification, we carry out a regular review of the feedback we receive. We are located in the heart of the Brecon Beacons National Park on the edge of Llangorse Lake, a nature reserve – so we highly recommend that you take a little time either side of your course with us to stay in the Park and have the time to enjoy the mountains, lakes, rivers, waterfalls, wildlife, buildings, towns, canals, restaurants and pubs - there are lots of great places to stay – here are a few suggestions…. Located in the quiet village of Llangors which has two pubs within walking distance for an evening meal. CAMPING – STAY WITH US! There is a lovely campsite at Tŷ-Mawr Farm (where the course is held) with toilets and cold running water. Additional facilities such as a hot shower, fire pit and kitchenette can be made available. There is a Kitchen Garden on site with fresh and Welsh produce available in a small farm shop. Please call Rae on 07949396589 or email rae.gervis@lime.org.uk or click here to find out more. Click here to see a map of our site and it's facilities. Star Bunkhouse Bwlch 01874 730080. For individuals and groups of any size. Self catering with a lovely pub just across the road, serving really good food! Luxury accommodation that sleeps 8 with 4 bedrooms, 4 bathrooms, an outdoor hot tub and mountain views. Ty Mawr is based in a farmstead in the heart of the Brecon Beacons National Park. It is on the site of a medieval manor house overlooking Llangors Lake, the largest natural lake in South Wales. The area is rich in wildlife and history. There are a variety of walks from Ty Mawr; stroll along the edge of the lake through meadows and woodland or climb to the summit of one of the surrounding hills giving stunning panoramic views of the Brecon Beacons and Black Mountains. There are also plenty of opportunities for other outdoor activities in the area including birdwatching, fishing and sailing on the lake, ponytrekking and a climbing activity centre.